Do you know the condition of your marine hoses? 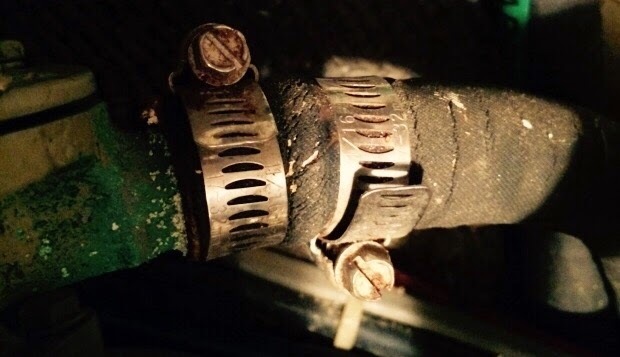 The hoses on our boats live in an inhospitable location and are often forgotten about. Here is my method for inspecting the hoses. Inspect your hoses. What is the most common marine deficiency on all boats, power and sail? The condition of or incorrect type of hose. Often times on surveying boats I find fuel hose and engine water hose from auto parts stores used on boats. 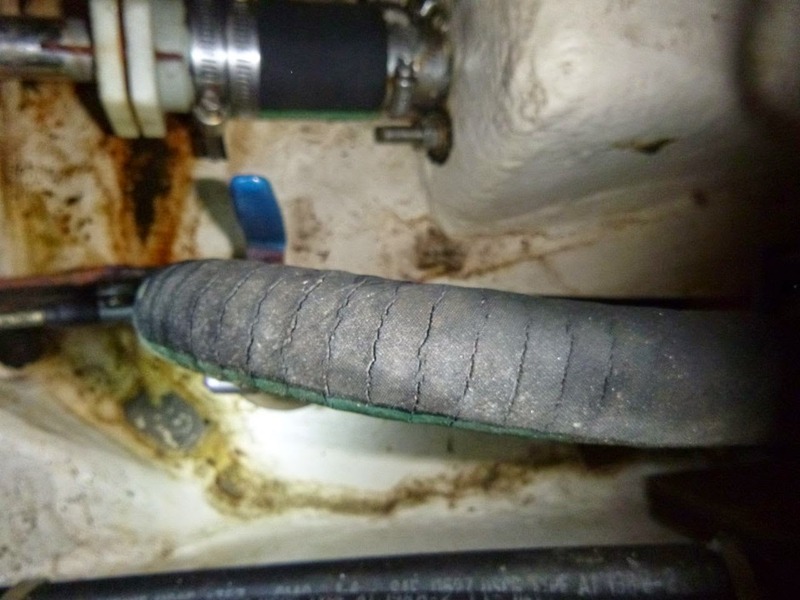 Even the highest quality automotive hose does not hold up well in the marine environment. Automotive water hose is not reinforced like marine hose. It will develop wear spots and can easily crimp. 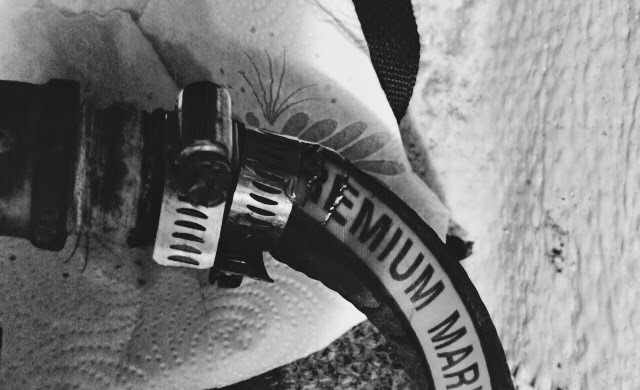 But even good marine hose does not last forever. I find hoses that appear to be in good condition until I grab hold of the hose and bend it, at that time cracks are easier to see in the hose. Squeeze the hose, does it have any soft spots? On other hoses the cracks and wear are easy to see, some of the worst are AC intake hoses where I have bumped into them and had water squirt out. 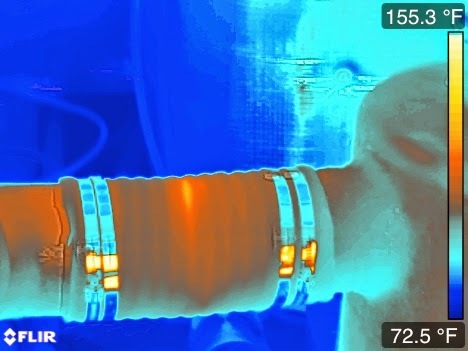 I have found thermal imaging to be helpful in inspecting exhaust hose. The soft worn areas will have a warmer thermal pattern in the image. I confirm the areas by pressing against the the hose after the engine or generator is no longer running. 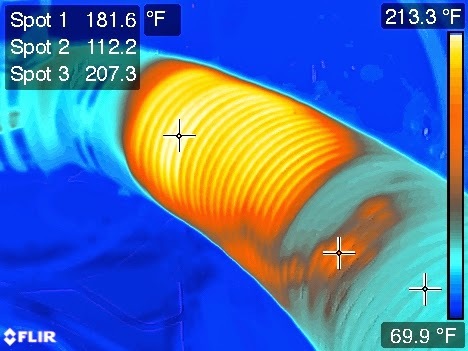 The use of Infrared Imaging (IR) is useful in finding worn spots in exhaust hose. The white area indicates a section of worn hose. We can see in this IR image a small worn spot in the center of this hose. By using spot measurements we can indicate the rise of temperature in worn areas of this hose. 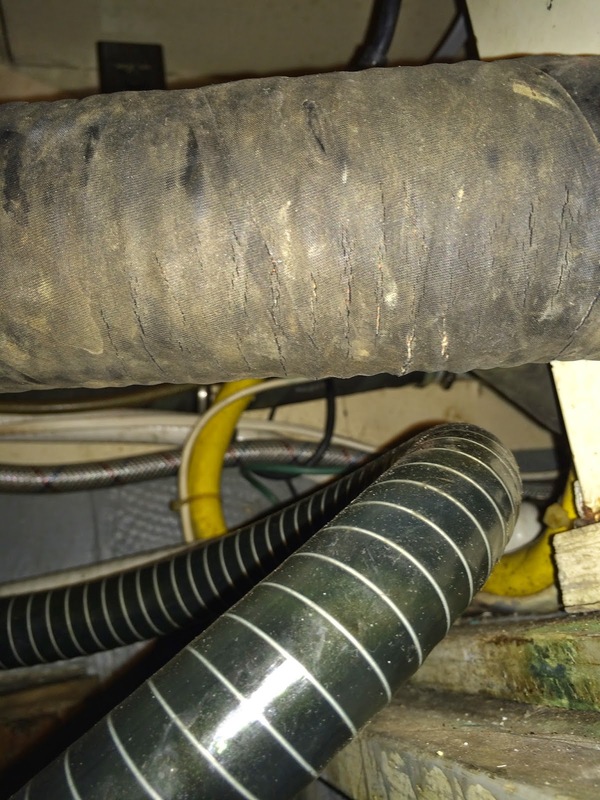 When was the last time you inspected your hoses? When I had my yacht management business, every 6 months I would crawl around the engine spaces and bilges inspecting hose clamps for tightness and corrosion. At the same time I would inspect as much of the hoses that were accessible. It is fairly easy to do by running your hands along the hose and using your eyes, giving the hose a bend, (after closing the thru-hull valve) looking for cracking. A good place to check for wear is where the hose goes over a fitting. These create hard spots in the hose. Closely inspect for anywhere the hoses may rub on an area of the hull or other parts. When in doubt replace the hose. Visual inspection is used to spot cracks in this hose. If left alone this hose will start leaking. The cracks on this hose are visible and by touching the hose I am able to confirm the hose is worn. This hose is cracked where the hose is connected to the fitting. The use of two hose clamps is doing more harm than good.